Ovens can vary widely from the temperature setting, so you should test the oven temperature with a standalone oven thermometer. Your repair professional can re-calibrate the oven from there. Not all baked items require oven pre-heating, while other foods like cakes and pies rely on proper pre-heating. For best results, follow recipe instructions, and give the oven enough time to properly pre-heat. Repair professionals advise against cleaning behind cooktop knobs. There are electrical components behind the knobs that can short-circuit when they come into contact with water or liquid cleaners. The extreme temperature achieved during a self-cleaning cycle can cause the oven to emit unpleasant smells for a time after cleaning. If you use the self-cleaning option, do it well before an event or holiday dinner. Many cooks forget to take cookware material into account when setting oven temperature. For glass and ceramic containers, lower temperature 25 degrees. For stainless steel and insulated wares, increase cooking time. Need Affordable oven repair in San Francisco ? Call Today at (415) 671-6676! Our friendly and experienced staff will have your oven repaired quickly. 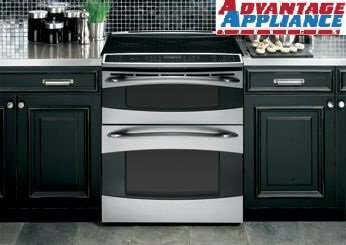 Having an oven that works properly is essential to anyone who cooks, so when you need oven repair, it’s usually a big deal. Lack of steady temperatures and cool spots can make cooking a decent meal next to impossible. If this appliance isn’t reliable, you can forget about baking a fantastic apple pie or a loaf of homemade bread, or even boiling water for pasta! This can cause a huge amount of inconvenience, not to mention disappointment at missing a home-cooked meal. 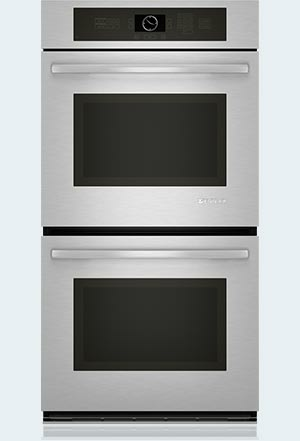 So, what do you do when your oven or stove needs to be repaired? Caution: severe electric shock may occur if power is not disconnected prior to service! Repairs on electric stoves and ovens may have severe or fatal consequences if carried out by an inexperienced individual or if repairs are performed improperly. If you are in doubt, call us for a free consultation! Oven repairs should not be carried out by any layperson, or by anyone without the proper expertise. Never work on an appliance unless you have sufficient knowledge to do so safely. Repairs on electrical appliances should not be carried out without professional help from someone who is trained to carry out these types of repairs. Not only are we trained to handle major issues, we are also versed in every major appliance brand like Kenmore, Miele, Bosch, Maytag, and many others. 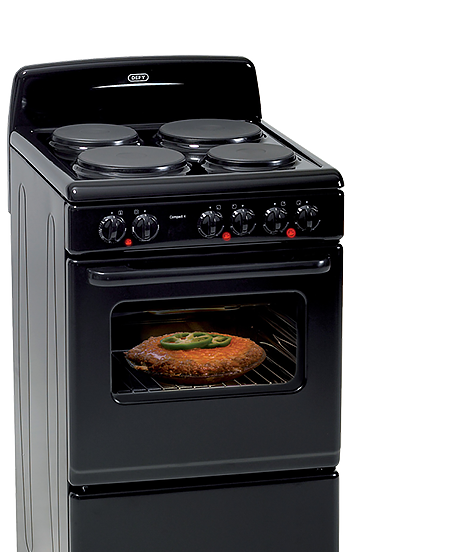 Oven repair in SF is best when handled by seasoned, knowledgeable experts. 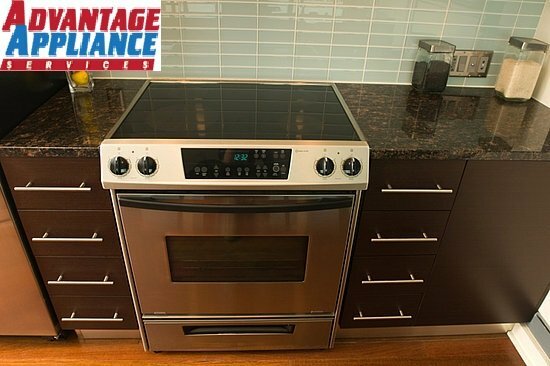 Advantage Appliance technicians are your go-to local experts for all your oven issues. Over the years, we’ve seen and fixed it all, from ovens that won’t heat to ovens that run too hot. We’ve performed complicated gas oven troubleshooting and simple electric oven repairs. We’ve even fixed botched DIY jobs that used inferior oven repair parts. We get it. Appliance manuals aren’t exactly page-turners. They are, however, the key to keeping your oven safe and in working condition. You’ll actually find a host of tips and useful instructions in your oven manual. Pay especially close attention to your oven’s recommended cleaning and maintenance tips. Following these recommendations can help you avoid countless problems. Your life’s busy, and cleaning the oven seems like an easy thing to put off. If you want to preserve your oven’s efficiency, though, don’t delay cleaning. Consistently cleaning the interior and exterior of your oven is the best way to keep it in good condition. Wipe down door gaskets routinely, and immediately remove food debris stuck on the gaskets. Thoroughly clean the inside of your oven at least twice a year. Wipe up spills as soon as they happen, and clean your oven while it’s still slightly warm. Your oven will reach 500 to 900 degrees Fahrenheit during its self-cleaning cycle. This is not the time to run errands or become engrossed in an outdoor project. Open a window or two in the house, and keep an eye on your oven while it’s in self-cleaning mode. Be sure to give your oven at least six hours to cool off afterwards. Ovens often give their owners hints that a breakdown is coming. Unfortunately, those clues are often overlooked until the oven has completely failed. Pay attention to your oven’s function. Common warning signs include an oven that takes longer than usual to heat up or bake. If you have a gas oven, always be aware of the potential hazards presented by natural gas. When heating issues crop up, give us a call. We provide superior oven repair in SF so you can keep your home functioning and your family safe. 4)	If your oven goes wrong then it can be very difficult to cope. Although it is possible to cook on the hob, using a microwave or eat out, an oven is something that many people use regularly when they cook. It can be difficult to cook great meals without it and so it can have a big effect if it breaks down. It could be something that you rely on using every day and so when it does not work, you could find that you are not sure what to do. You may feel that you want to have an oven repair done as soon as possible as you may feel that you will not cope for long without one. If you contact us, then we will fit you in with a repair as soon as we can. We specialise in oven repair san Francisco which means that we are never far away and can quickly come to your assistance. You just need to contact our office and we will send out an engineer to do the repair as soon as possible. We have a very experienced team of local engineers who are used to working with all of the popular local brands. This means whether you need a Viking oven repair or Miele oven repair, a GE oven repair, a Wolf oven repair or a Thermadore oven repair we will be able to help you. We can deal with most brands and most faults so it is worth contacting us to see whether we can help you. Our engineers should quickly be able to identify what problems might be causing your oven to stop working and fix them for you right away. It can sometimes be tempting to think that it will be easier to buy a replacement oven rather than getting a fix. 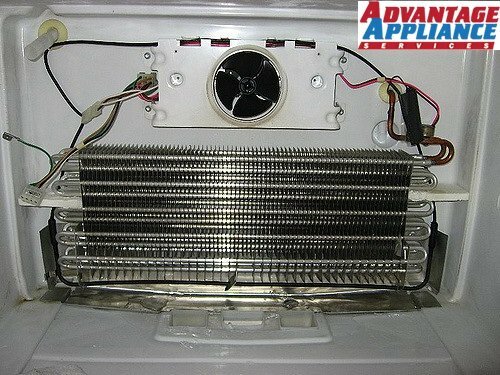 However, a repair can be so quick and a lot cheaper than getting a replacement oven. You also have the advantage of still having a model that you know how to use. The repair will hopefully make it run better and be more efficient as well. Repairing rather than replacing is also better for the environment as you are not throwing something away that could be repaired, therefore not adding to landfill or using valuable resources. It is worth considering whether you can justify the expense of a new oven when a repair could be a fraction of the cost, too.